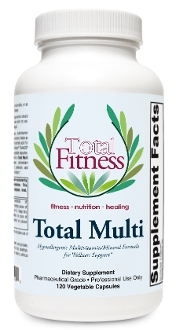 Total Multi is a high quality, hypoallergenic, balanced proprietary multivitamin mineral blend. Activated cofactors and patented Albion mineral complexes assure maximum absorption. Please click link to download PDF.